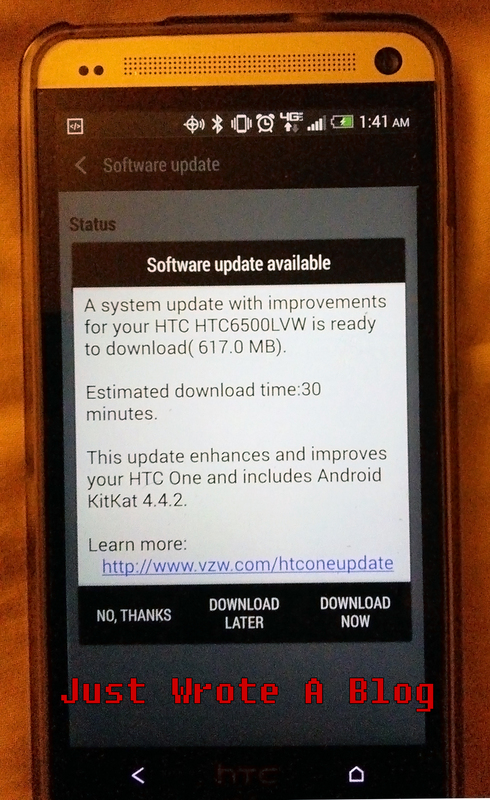 Hot off the heels of Sprints Kit Kat update on its HTC One variant, Verizon, surprisingly is 2nd to push out the Android 4.4.2 update among US carriers. If anyone recalls, Verizon was the last to push out the last Jelly Bean update (4.3) to it’s HTC One by about a month after the other 3 major US carriers. HTC itself said late last year that it will deliver Kit Kat to carrier One variants at the end of January, but with certification process taking a bit more time than they had anticipated, they retracted the end of January delivery date, and pushed it to sometime in February. HTC One Verizon Owners! We have received technical approval for the OS 4.4 + Sense 5.5 update today. Expect the OTA out shortly. Thanks!